Ships tomorrow if you order in the next 24 hours 52 minutes. Auto Ship & Earn + 231 Points What's this? Menopause can be uncomfortable and, at times, a little frustrating. 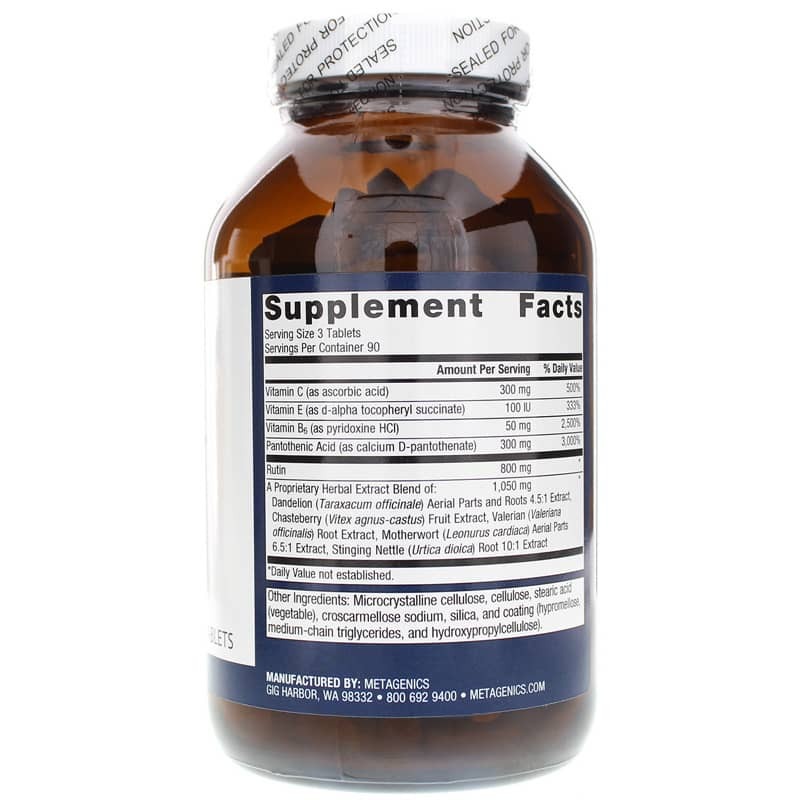 The support of natural supplements can help ease symptoms and regulate hormones. Are you looking for nutritional support in your early stages of menopause? 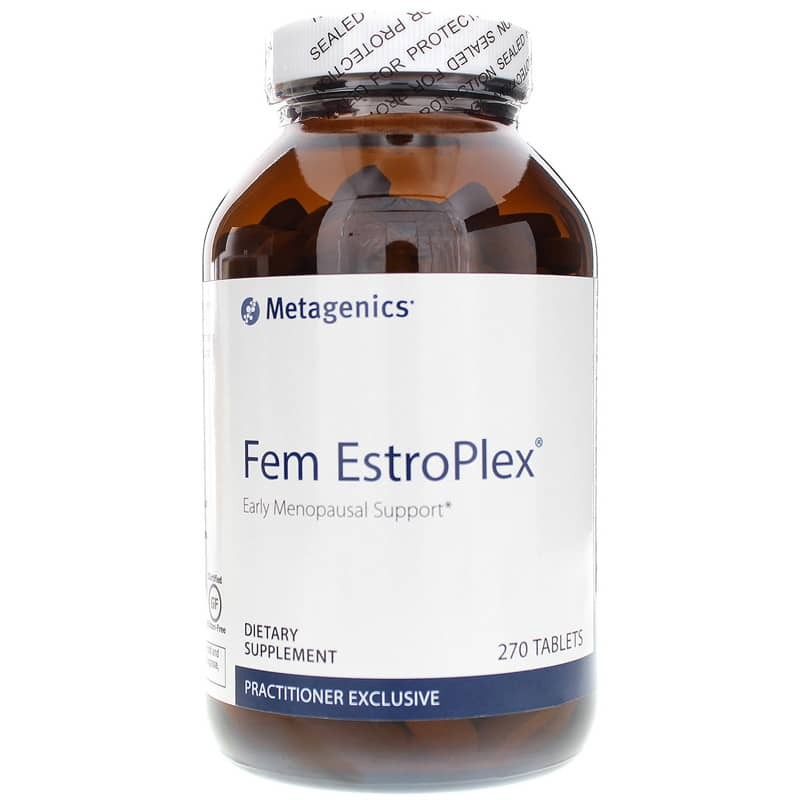 Fem EstroPlex supplements by Metagenics is designed for natural menopause support. It targets nourishment for women who experience early symptoms of menopause. This formula features quality extracts of traditionally used herbs and the antioxidant vitamins C and E to provide multiple levels of support during menopause and help maintain cardiovascular health. Suggested Use: Take 3 tablets daily. 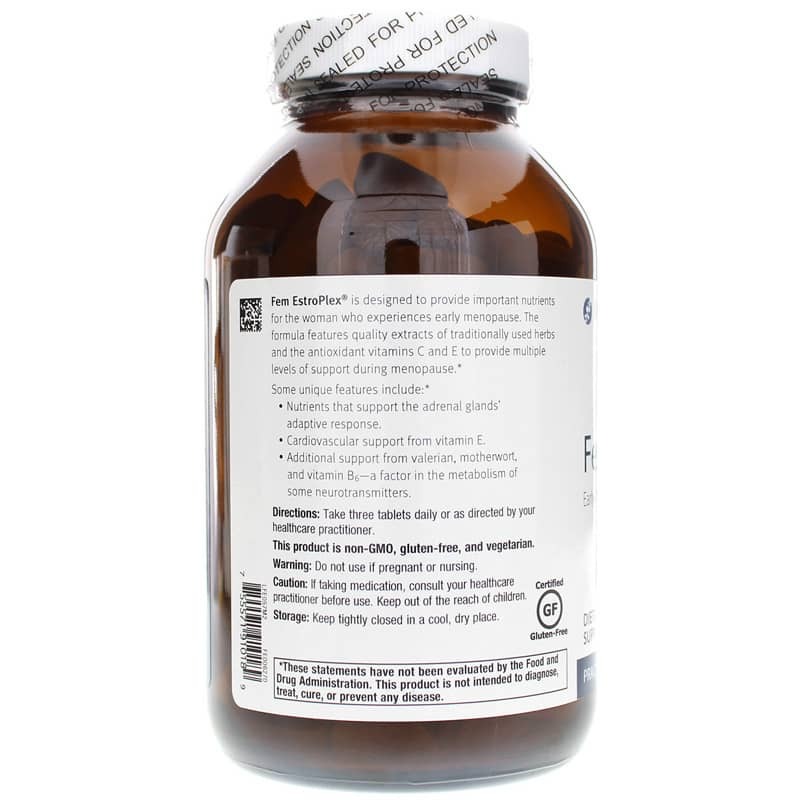 Other Ingredients: Microcrystalline cellulose, cellulose, stearic acid (vegetable), croscarmellose sodium, silica, coating (hypromellose, medium chain triglycerides, and hydroxypropylcellulose). Contains NO: gluten, GMOs. Vegetarian. Adults: Take three tablets daily or as recommended by a healthcare professional. Do not use if pregnant or nursing. If taking medication, consult your healthcare practitioner before use. Keep out of the reach of children.